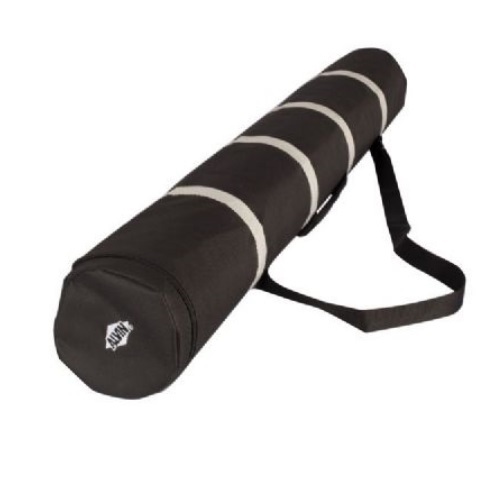 Alvin CP37 - Workhorse Storage Carry Tube - 4-1/2" x 37"
Alvin Workhorse Storage Carry Tube - 4-1/2" x 37"
The “Workhorse” carrying drawing tube from Alvin is ideal for safely transporting important documents. Designed with the professional in mind, carrying cases are constructed of high quality, water-resistant nylon with contrasting gray bands. Rigid cardboard core and foam padded end caps provide extra protection of valuable artwork, blueprints, documents, or other objects.